Whether you are aiming to advance your career, train for a new one, or complete the first two years of your bachelor̠s degree, SCC has hundreds of courses designed to help you earn an associate̠s degree, professional certificate, or provide a strong foundation for university transfer. Get started on your path to a brighter future! Student enrollment has reached 10,000 each semester with 3,000 additional students enrolled in special-interest, non-credit courses. On campus walkways, one sees people of all ages, of numerous races and ethnic backgrounds, with an unlimited variety of interests and purposes.A vast majority of students are currently enrolled in credit programs including mathematics, science, social and behavioral sciences, English and communication, speech, and studio and performing arts to earn associates degrees. Most have scheduled plans to transfer to four-year universities to complete bachelor and post-graduate degrees. 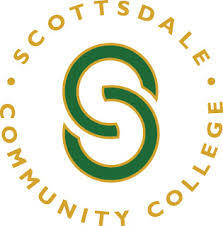 Students graduating from SCC do exceptionally well.SCC has also broadened opportunities to students to prepare for careers that do not require four-year degrees. Applied Sciences offers over 23 different career or occupational programs including Nursing, Drafting, Fashion Merchandising, Interior Design, Hospitality and Tourism, Culinary Arts, Administration of Justice, Equine Science, Tribal Management, and Computer Information programs. These programs are styled in accordance with the needs of students, the community, business, and industry. College personnel work closely with community employers to assess current educational and training needs.